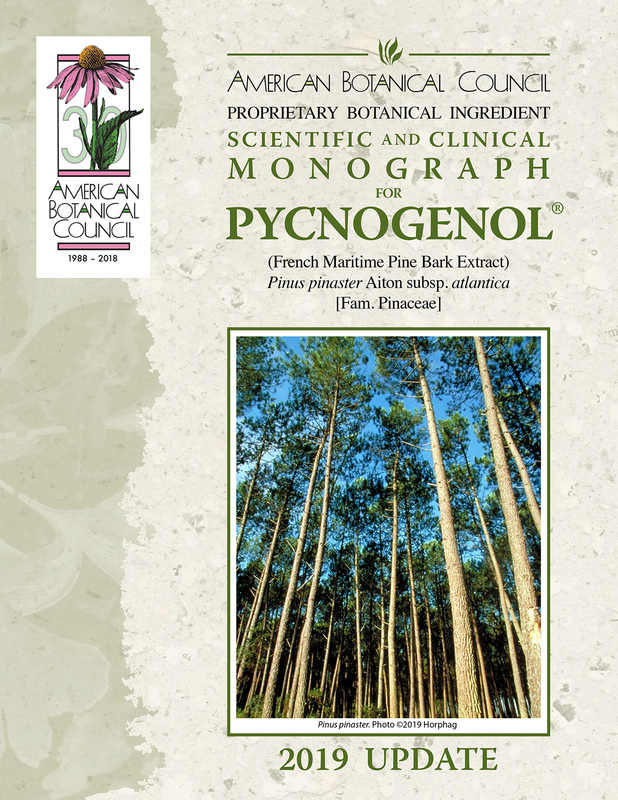 In January 2010 the American Botanical Council published a proprietary botanical ingredient monograph summarizing the scientific and clinical studies of Pycnogenol®, a patented dietary ingredient from French maritime pine bark (Pinus pinaster). In February 2019, ABC published a revised and updated version of the Pycongenol monograph. Studies of Pycnogenol reviewed in the monograph include clinical trials evaluating cardiovascular benefits, improvement in blood sugar control, ability to reduce difficulties associated with chronic venous insufficiency and problems related to thrombosis, decrease of edema, benefit to children with attention deficit hyperactivity disorder (ADHD), adjunct therapy for patients with asthma, reduction of menstrual pain, and improvement of subjective symptoms of osteoarthritis in the knee. The Full Monograph can be accessed here, as well as the Clinical Overview only, or the Consumer/Patient Information Sheet only. Read ABC’s press release announcing the publication of the new version of the Pycnogenol monograph.